A number of legislative Republicans are advocating a bill aimed at imposing work requirements for some Medicaid recipients while also doing away with exemptions from work requirements now allowed to some food stamp recipients in Connecticut. 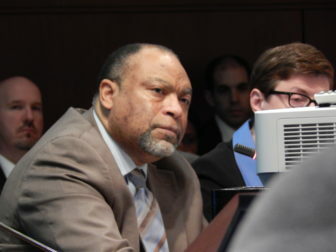 Social Services Commissioner Roderick L. Bremby. The bill would require the state Department of Social Services to apply for a federal waiver allowing the state to impose work or community service requirements on some adult, able-bodied Medicaid recipients, a request that the Trump administration already has approved for three states. The bill also would prohibit DSS from applying for a federal waiver that drops current work requirements for food stamp recipients who don’t have dependents and live in areas with higher unemployment rates and job scarcity. The U.S. Department of Agriculture is now considering ending those waivers. 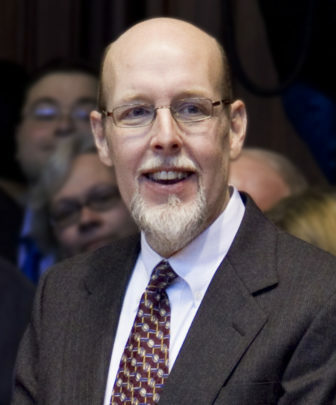 In written testimony, DSS Commissioner Roderick Bremby said he opposes the bill for many reasons, including that the Medicaid work requirements don’t align with the purpose of Medicaid; that limiting food stamp benefits would directly affect local economies across the state; and that it would be expensive to implement. According to DSS, 800,000 residents are enrolled in Medicaid and 400,000 residents, or 200,000 households, are enrolled in food stamps. Medicaid is funded by the state and federal governments, while the food stamps program is fully funded by the federal government. The work-requirement bill will have a public hearing in front of the Human Services Committee on Thursday at 11 a.m. in Room 2A in the Legislative Office Building. In January, the Centers for Medicare & Medicaid Services sent a letter to states, saying that it would, for the first time, allow them to craft programs that would require Medicaid recipients to prove they are working, training for a job or volunteering in their communities. The letter said the policy was “anchored in historic CMS principles that emphasize work to promote health and well-being.” The action reverses the policy of previous Democratic and Republican administrations, which held that the work requirements didn’t further the program’s purposes of promoting coverage and access, according to the Kaiser Family Foundation. Several states have sought approval, and so far, Kentucky, Indiana and Arkansas have received waivers allowing Medicaid work requirements. Kentucky is facing a federal lawsuit aimed at blocking implementation of the program. Under the Connecticut bill, many Medicaid recipients still would be exempt from work or community service requirements, including those under 18 years old and over 64, people with disabilities, pregnant women, the sole caretaker of a dependent child or a person with disabilities, and a student enrolled full-time in either a secondary or post-secondary school. Extensions also would be granted to those who live in higher unemployment areas and can’t find or afford transportation to work or do community service. Current federal legislation mandates that states require these individuals ages 18 to 50 to meet work requirements to be eligible for SNAP for more than three months during a 36-month period, according to DSS. States can apply for a one-year waiver of these work requirements, and DSS has sought and received approval to waive them for 2018 in 114 towns and cities. Sen. Joe Markley of Southington, the Human Service Committee’s Republican co-chair, said on Friday the committee had received several proposals for work requirements from Republican legislators. In February, Markley said, the committee’s leadership attended a presentation by the Foundation for Government Accountability, a conservative think tank that favors work requirements. Markley said he hasn’t decided yet whether he supports the bill and is still gathering information to assess the advantages and disadvantages of such requirements. 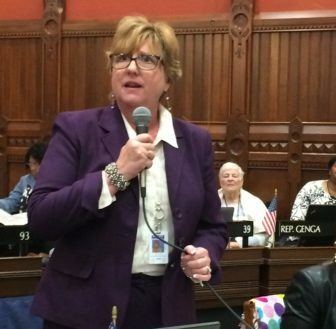 Rep. Cathy Abercrombie, D-Meriden, co-chair of the Human Services Committee, said Saturday that she opposes the bill. “I have no intention of changing the SNAP program,” she said. DSS’s Bremby, in his written testimony, said the department’s data shows that 72 percent of Medicaid enrollees either are employed or are children under 19, adults over 65, or persons with disabilities. He also testified that imposing work requirements would be “administratively complex and costly” since the department would have to develop a way to track and document compliance or exemptions for more than 800,000 people. Sen. Rob Sampson, R-Wolcott, said he supported the bill and has signed as a co-sponsor.